Last year my friends and I decided to come up with an easy group costume - Peter Pan. 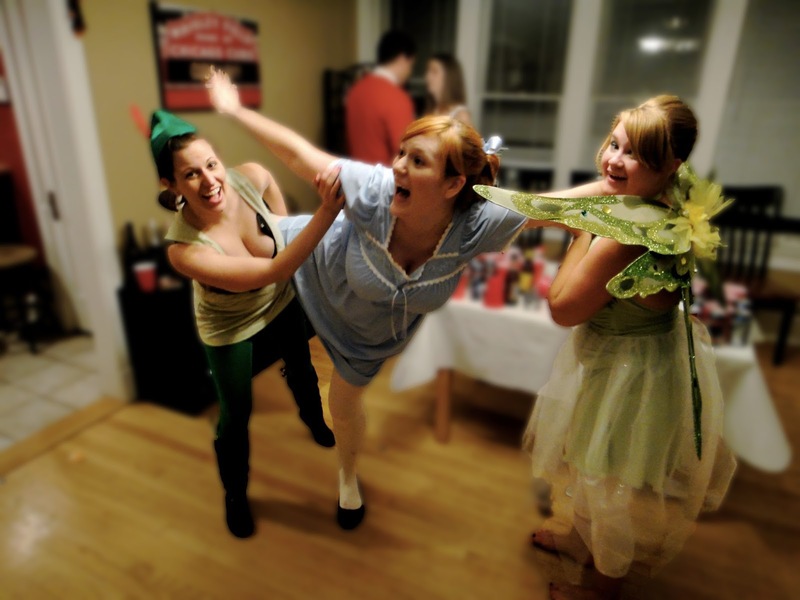 I was Wendy, accompanied by Peter Pan and Tinkerbell. It was a very odd love triangle. Tiger Lilly also showed up at some point. This costume ended up costing me about $10 total. 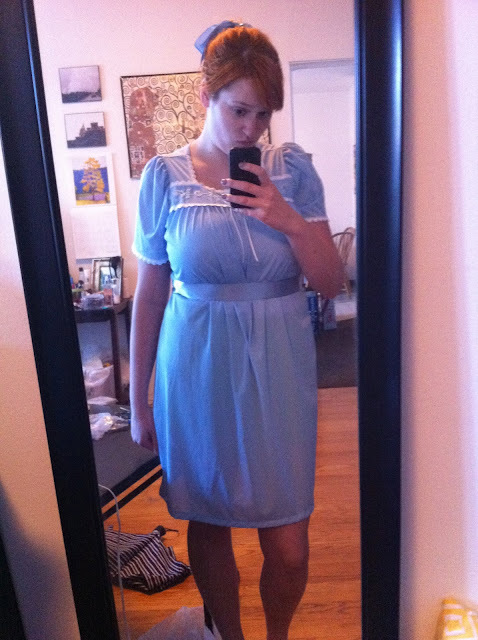 I found the light blue nightgown at Sears, and then added a ribbon at the waist and tied a ribbon around a curled ponytail. It ended up being cold that night, so I made the outfit a little more "little girl" with white tights and a white peacoat. Teaching Wendy how to fly: trickier in real life. OMG I can't get over how cute this is Kristina!!! It is perfect!! I love group/couple couple costumes. These are great! I still don't know what I'm being this year.. argh. You are so cute! I love this costume, what a fun idea and you all look great. P.S. Love me some Ron Swanson! Omg this is perfect! 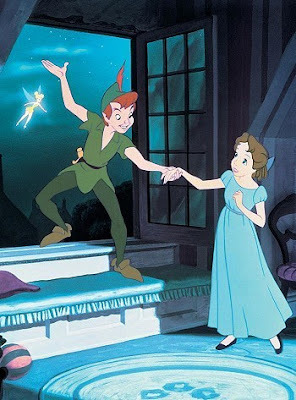 I was Peter Pan one growing up, as well as Tinkerbell growing up. It's so funny to look back on the costumes. You were a PERFECT Wendy! Super cute idea. You are so creative. I love all these Halloween posts- this is a cute idea! You look so great all together! Adorbs! Loving this idea! The last photo is too cute! aghhh you are so cute!